If you are thinking of moving to Liverpool, you probably already know it is a warm, energetic, welcoming city with lovely buildings and parks. With a population over 436,000, it is the sixth largest city in the United Kingdom. You may also consider places close to Liverpool to move to since there are great transport links to the city from other areas in Merseyside. Today the city of Liverpool is the most successful footballing city in England. That is why it is a preferred tourist destination. Football is the most popular sport in the city, home to Everton F.C. and Liverpool F.C. It is not rare for families in the city to support both clubs and both of the clubs play in high-capacity stadiums. Other massively popular sports in Liverpool include boxing, horse-racing and golf. 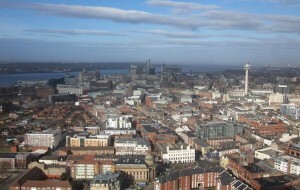 Liverpool ‘s passion for pubs and shopping is on a par with its passion for music, sport, culture and nightlife. All of which make for a modern vibrant city. If you’re looking for nice areas to settle in, South Liverpool and the areas towards Southport and the Wirral are nice places to live and work in. These offer attractive housing and have good local schools and amenities. Lark Lane and Sefton Park are big student areas, so lively for young people. Some of the more desirable districts are in the east of the city centre, such as the suburbs of West Derby, Childwall and Knotty Ash. Generally north and immediately east of the city centre are the poor areas. The waterfront properties within the center of Liverpool offer an appealing city center lifestyle and good views over the river. Indeed, most of the maritime warehouses and dockland buildings have been converted into impressive and modern apartments and penthouses with an equally fancy price tag. One of the most frustrating things in Liverpool, however, is the morning rush-hour and the fight to find a parking space. Indeed, there are a number of car parks and meters throughout the city center, but they are not cheap. To avoid stressful situations it is advisable not to use a car, but public transport – it’s quicker, cheaper and probably stops a lot closer to your office than your car does. There are local bus and train routes available. This entry was posted in UK removals on July 30, 2014 by Izzy Removals.